“Have been using this dispensary for almost 2 years. They recently moved and the new office is very comforting and relaxing. Also much larger than the original location. The entire staff is knowledgeable and have been very helpful in tracking down strains that would work for my PTSD symptoms (anxiety, depression). On top of helping to educate me on terpenes, cannabinoids, and CBGs, they have also been excellent at communicating my needs to the grow facilities. It has changed my life for the better and I’m happy to say this is the only prescription I’m currently on. 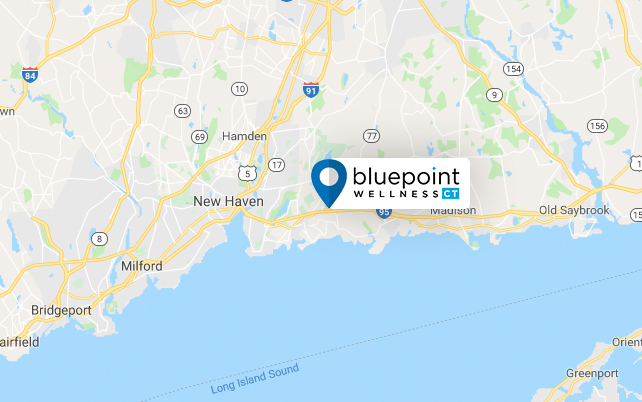 Thank you Bluepoint Wellness!” – C.H.R. “Bluepoint Wellness has changed my life! I have been a patient for 3 years now and I started here at an incredibly hard time in my life. I had just been deemed disabled by federal standards for a PTSD panic disorder and a spinal injury. Every doctor I was seeing was pumping me full of pills and I could hardly get out of bed. The medical marijuana program has helped me stabilize with minimal medication (pills). I sleep better at night and my anxiety is better than ever! I am finally back in college and I have hope for a future. I couldn’t have done it without the kind and helpful staff at Bluepoint Wellness. Thank you! !” – M.G.